1.2 million people with disabilities are detained in institutions in Europe, and financing from EU Structural and Investment Funds is still used to run them. Inclusion Europe yesterday participated at a seminar which gave evidence on the abuse many persons with disabilities, including people with intellectual disabilities, suffer in institutions. The conclusion was clear: No EU money for segregation! The seminar, organised by the Mental Disability Advocacy Centre (MDAC) presented a report on the appalling conditions in the “Topház Special Home”, a Hungarian institution for children and adults with disabilities, which has received financing from EU Structural and Investment Funds. 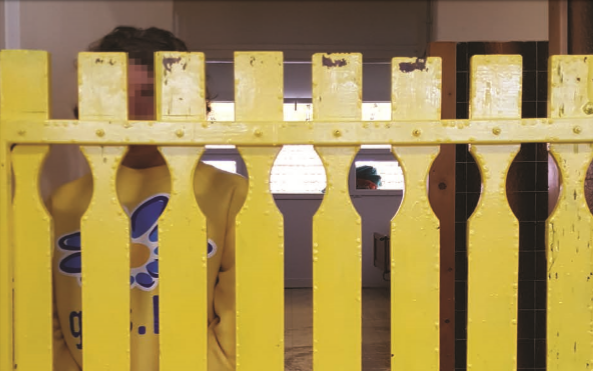 The institution was visited by a team of experts in April, and their findings indicate serious abuse and neglect of the residents living there, with incidences of torture or ill-treatment. This reflects the situation in many “care” homes in EU member states. During the event, Eva Baranyi, a Hungarian woman who spent her childhood in an institution, related her experiences of a lack of food, no privacy, detention and regular physical, emotional and sexual abuse. MDAC demands that the European Commission investigate where the money allocated to the “Topház Special Home” has gone, how the funds have been used and to ensure they comply with EU law, including meeting core human rights standards. Furthermore, the European Commission must now assess how widespread this problem is across Europe. Inclusion Europe supports these demands and calls upon the European Commission to ensure that no EU money is used to further prolong institutionalisation. Abuse in institutions is not limited to Hungary, but happens in many EU countries. Therefore, victims of abuse in institutions need to be recognised as such and offered appropriate support. Governments should be obliged to regularly report on their progress regarding deinstitutionalisation and the measures they have taken to protect persons with disabilities from abuse and develop independent living. EU funding must not directly or indirectly support segregation in institutions, which embody the invisibility in society of many of its most vulnerable individuals. This segregation and lack of recognition is also reflected by the fact that people with intellectual disabilities in many countries still do not have legal capacity or the right to vote and are denied to take basic decisions about their own live. Steps must be taken both by national governments and on the EU level to address this deplorable state of affairs and make sure that persons with intellectual disabilities can enjoy their full human rights. None of the issues raised in MDAC’s report are new; the evidence for a heightened risk of abuse in institutions is overwhelming. The responsible authorities now must act, institutions must be closed and people with intellectual and other disabilities and their families must receive the support they deserve.